The Off-grid Wood Butcher: Vintage tools: The mystery saws. Vintage tools: The mystery saws. Now that the outage is over and we got back power I will be able to finally pursue on my woodworking project. But before going there I will try to solve a mystery using your knowledge about saws. 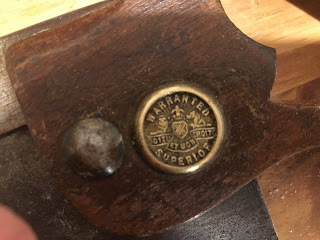 I got two small vintage saws and try to discover who was the maker of these two. Here is a picture of the saws. I first got the one at the bottom. It is a 8 inches saw, the blade is very thin and when I tried it, even if not sharp enough yet, I just loved it. 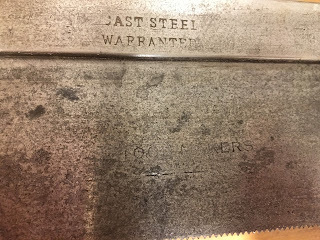 The blade shows a partial etch where I am able to read "W & TOOLS MAKER". 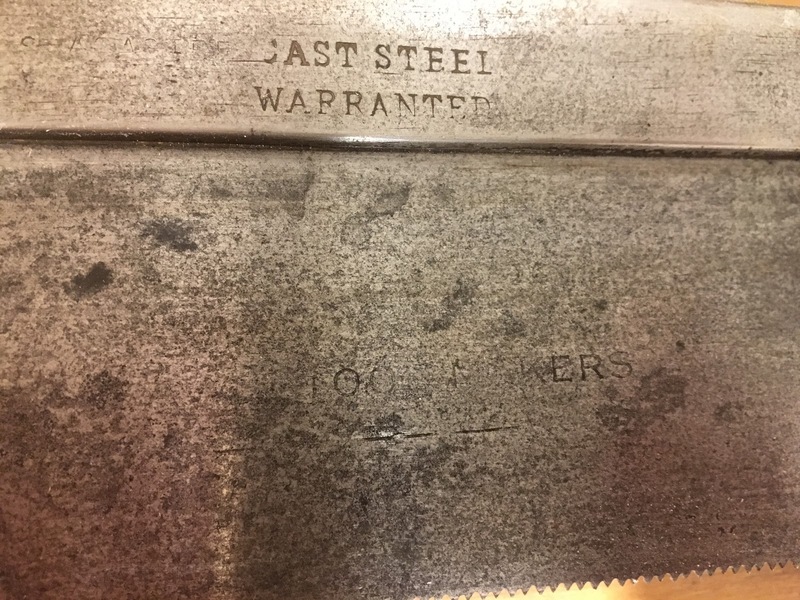 The blade shows a partial etch. I guess that this means "SAW & TOOLS MAKER" but this does not provide much information about the name of the maker. There is not much marking except this partial etch. The handle is showing a medallion that is quite common on this type of saws. 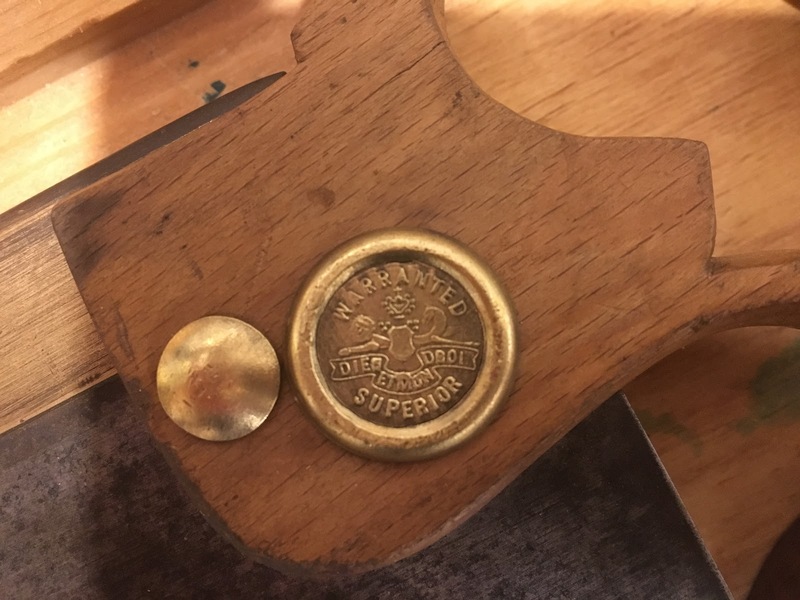 The handle medallion only showing Warranted Superior. As I like this saw very much, when I found a similar one on EBay I jumped on it. 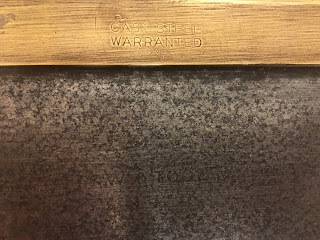 That one is a 10 inches saw, also showing a partial etch with the same marking. Same type of blade etch but brass backed. Beyond the size, the difference is that this one is brass backed instead of steel backed. The medallion is also similar. 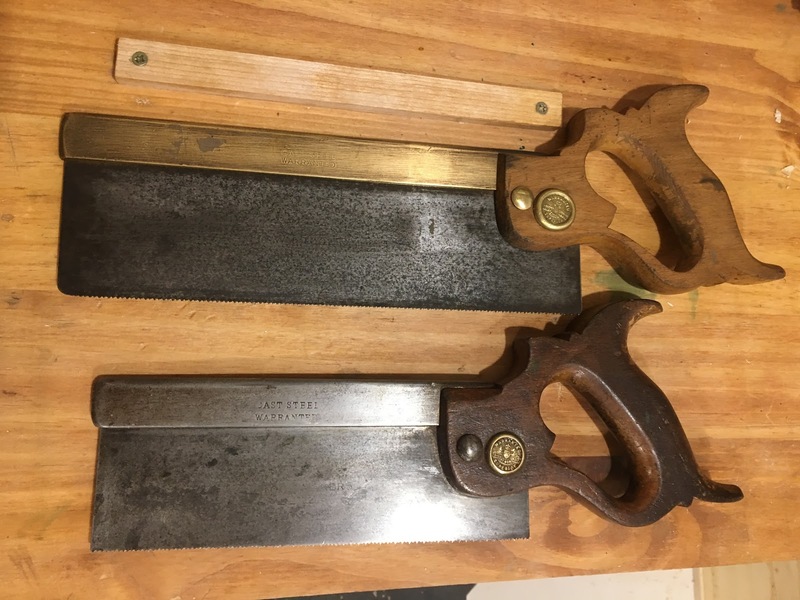 I really would like to find out who was the maker of these two saws but to this day I was not able to find much information. I asked the sellers if they had any but they were not able to do so. If any one has some information please send me a comment so I can solve this mystery! Thank you Mike, I will have a look there. 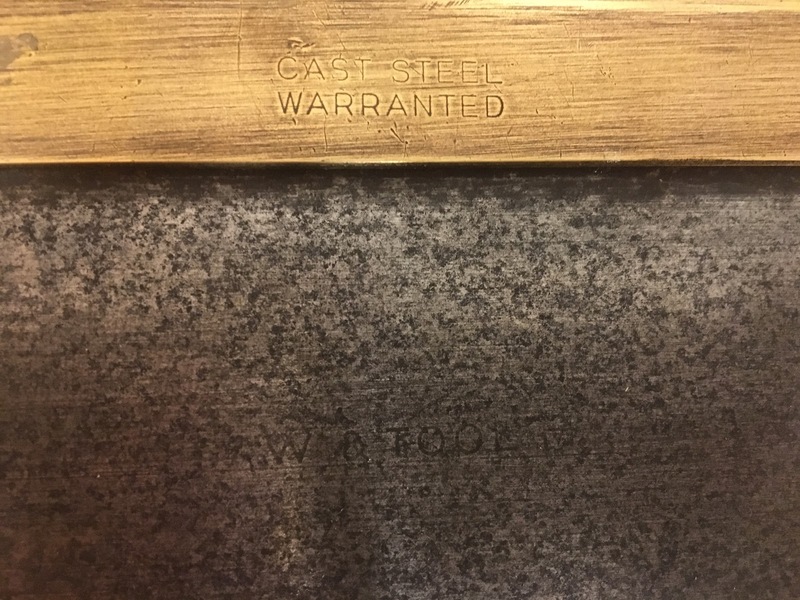 Your warranted superior medaillon is typical of British manufacturer, sometimes found on Canadian ones, but my money is on British. If you cannot get a good pic of the etch can you make a drawing of what you see? What is remaining of the etch is very faint and I am not able to really take a decent picture of it. The only think I can see is W & TOOLS MAKER with an horizontal line below what I guess means SAW & TOOLS MAKER and the line looks like the remnant of a frame around the etch. Thank you Bob I will look in that direction.